It’s been nearly two months since the Trump administration announced its new “zero tolerance” policy regarding illegal immigration, which federal officials say has led to about 2,000 undocumented immigrant children in government custody being separated from their parents. The first tent city that’ll house immigrant children opened in El Paso on Friday. Some families have been separated for months; some parents have been deported without their children. Asylum Seeker Advocacy Project works to prevent the deportation of asylum-seeking families fleeing violence. The group accepts donations and asks people to sign up for volunteer opportunities here. South Texas Pro Bono Asylum Representation Project is providing free legal services to asylum seekers detained in South Texas. RAICES is a nonprofit that provides free and low-cost legal services to immigrant children, families and refugees in Texas. It’s accepting donations and volunteers at its website. In addition, the #postcards4families campaign will donate $5 to RAICES for every postcard kids write to help the separated immigrant children. The CARA Project is currently recruiting attorneys, law students and paralegals with experience in asylum work. The group asks volunteers to be fluent in Spanish or willing to work with an interpreter. Kids In Need of Defense partners with major law firms, corporations and bar associations to create a nationwide pro bono network to represent unaccompanied children through their immigration proceedings. Volunteers don’t need to have immigration law experience. The El Paso-based Las Americas Immigrant Advocacy Center provides legal representation to immigrants who might not be able to afford it otherwise. It’s accepting volunteers and donations. The Austin Bar Association Civil Right and Immigration Section is coordinating training for pro bono attorneys to handle credible fear interviews for asylum seekers. Catholic Charities of the Rio Grande Valley shelters immigrants who've recently been released from U.S. Border Patrol custody. American Gateways provides legal services and representation to detained parents. It's currently seeking volunteers to represent detained parents and is accepting donations. Diocesan Migrant & Refugee Services is the largest provider of free and low cost immigration services in West Texas and says it's the only organization in El Paso serving unaccompanied children. Justice for Our Neighbors provides free and low-cost legal services to immigrant individuals and families in Texas. 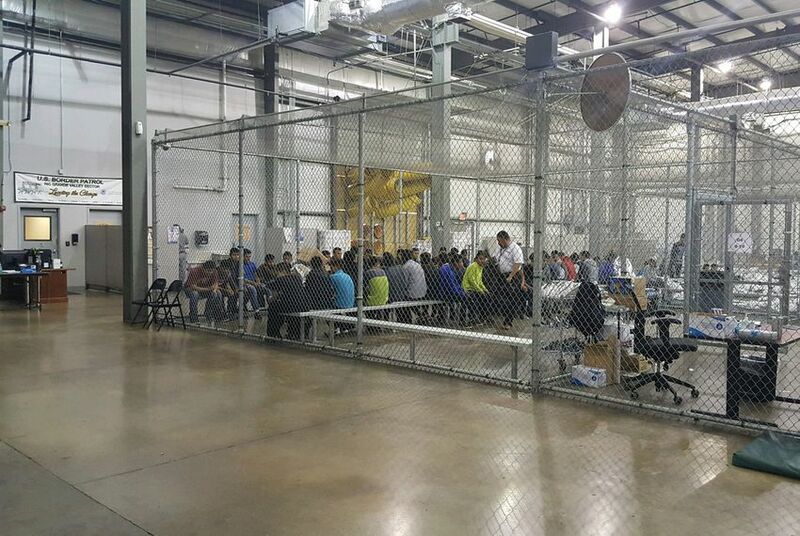 The Young Center for Immigrant Children’s Rights is looking for more child advocates to visit the immigrant kids inside the detention centers weekly and accompany them to immigration proceedings. It is also raising money for advocates who will deal specifically with family separation cases. Lutheran Immigration and Refugee Service is raising money to provide immigrant children "immediate shelter and beds, medical services, counseling and therapy to help them deal with the trauma of family separation." Together Rising is collecting money that'll go to advocacy groups that are working to reunify immigrant children with their families. Comfort Cases is raising money to provide backpacks to the separated immigrant children. Each case will contain items such as blankets, pajamas, toiletries, a stuffed animal, a book, a journal and art supplies. The Young Center for Immigrant Children’s Rights is training adults who want to become “child advocates” who will work one-on-one with unaccompanied immigrant children while they are subject to deportation proceedings. Tahirih Justice Center is providing free legal and social services to immigrant women and girls fleeing gender-based violence. Circle of Health International has staffed a clinic caring for refugees and asylum seekers immediately upon their their release. Their McAllen clinic is currently seeing upwards of 100 patients a day. The Office of Refugee Resettlement requires that all people who want to foster one of the unaccompanied immigrant children be fully licensed by their state. If you are not already licensed, the agency recommends contacting organizations such as United States Conference of Catholic Bishops or the Lutheran Immigration and Refugee Services. Annunciation House is helping serve immigrants and refugees in El Paso. The organization is accepting donations here. The Human Rights Initiative of North Texas is representing asylum seekers as well as unaccompanied minors — including those separated from parents. The Salvation Army of El Paso is supporting 17 shelter rooms for separated families while they await reunification with their children and their court hearings. Baker Ripley's team of immigration attorneys are providing representation to detained families seeking asylum as well as working to reunite children and parents. La Posada Providencia in San Benito runs a shelter for people who have applied for asylum and been released from detention centers while their cases are pending. The Children’s Immigration Law Academy has pro bono attorneys representing children in immigration-related proceedings. It's also providing specialized training to legal service providers and volunteers who're serving unaccompanied immigrant children. The Detained Migrant Solidarity Committee in El Paso started the Fronterizo Fianza Fund, which will go toward things like posting bond for asylum seekers. The Migrant Center for Human Rights is providing free and low-cost legal services for detained asylum seekers in Texas. What are we missing? Let us know at asamuels@texastribune.org.